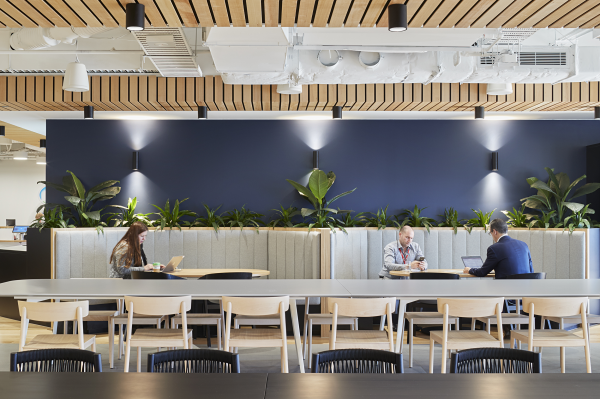 Following the successful completion of their Auckland HQ, Unispace was asked to design and deliver the relocated Fonterra Melbourne workplace. 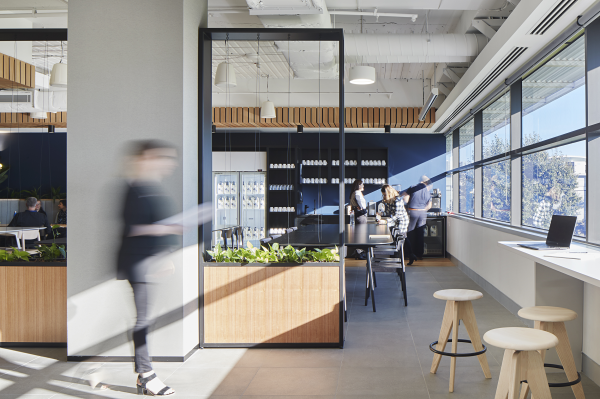 As a global dairy nutrition company owned by over 10,000 farmers and their families they wanted their new workplace to look, feel and operate in a more welcoming and connected way. 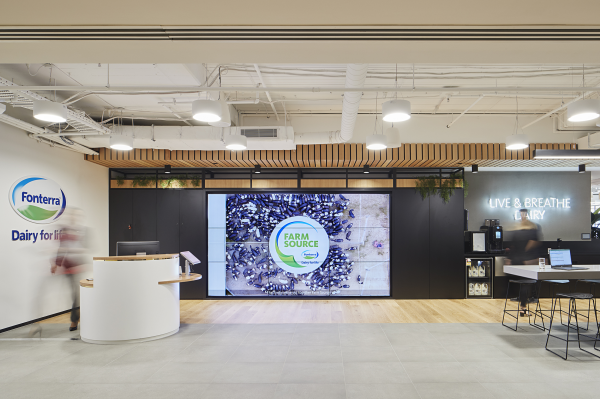 To be the welcoming and connected workplace they wanted, Fonterra briefed us to break down siloes between the head office and farmers so they could celebrate their shared goals. This shaped the design approach for the workplace, most notably the reception and welcome area. 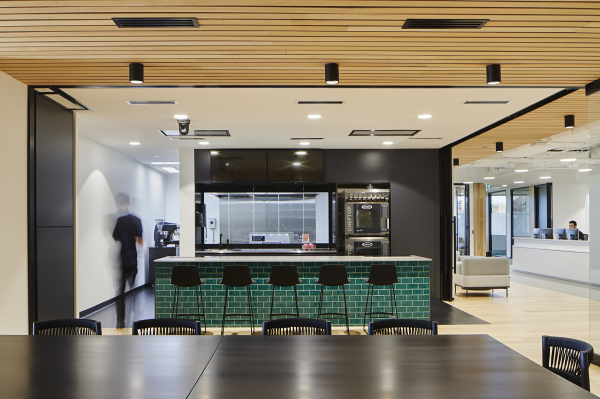 As a business in the Consumer Goods industry, Fonterra wanted a commercial kitchen to showcase their products and test foods as the focal point of the space. A place that was accessible to visitors and employees alike to truly celebrate the brand. 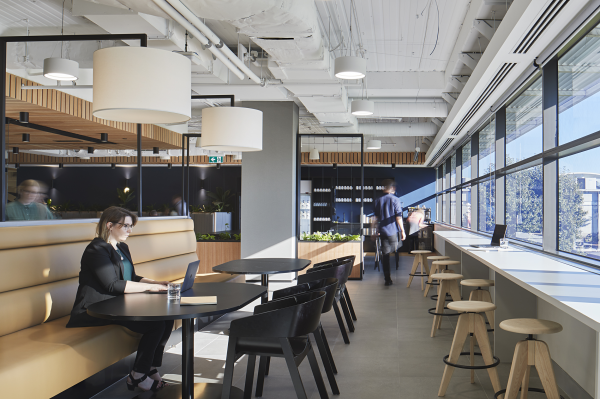 To inform the design process, we undertook an analysis of how the Melbourne team were utilising their space, to get a better understanding of how the Fonterra global behaviours would apply to the local team. We paired our deep understanding of the brand and its fundamental ways of working with our strategy findings, to adapt the Fonterra global standards to align and with the local behaviours and style of working in Melbourne. The new workplace consolidates all teams on one level. We reviewed their complex matrix of work styles, settings and personas and redefined the focus towards quality over quantity of settings. The new office has a dedicated focus library positioned at one end of the floor plate. Centralised neighbourhoods have shared support spaces, lockers and water stations to accommodate the flexible team. The business performs project based work, with resources from different departments coming together quickly so project spaces are scattered throughout each neighbourhood. A challenge when adapting the space to break down siloes and discouraging ‘owned space’ was ensuring Fonterra employees were not thrown into a dramatically different work scenario without a change management strategy. We reviewed Fonterra’s complex matrix of work styles, settings and personas and redefined the focus towards quality over quantity of settings. We designed centralised neighbourhoods to encourage a sense of belonging while enabling staff to undertake activity based work. The neighbourhoods have shared support spaces, lockers and waterstations to accommodate the flexible team. The colour palette and materiality reflect the natural landscape with finishes including the timber and stainless steel - a nod to of the farms and factories where their products are made. 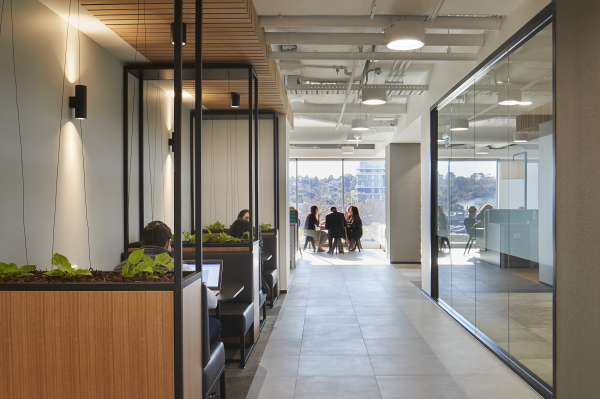 The new workplace consolidates all teams on one level from three separate floors, enabling Fonterra to save money on rent and become more space efficient.